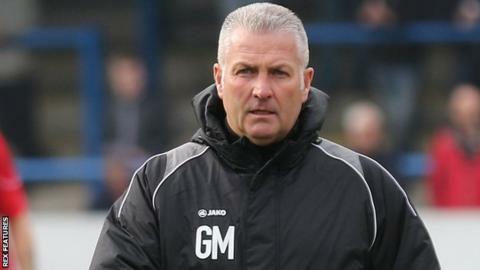 Wrexham manager Gary Mills says he is close to his making his first new signing of the summer. Mills has offered new deals to seven squad members for the 2016-17 season but released 17 players. The former York City boss says he has already identified the players he wants for next season. "The wheels are in motion and we're working hard," Mills told BBC Wales Sport. "I'm in talks with their agents and in talks with a couple of players personally who don't have agents." Mark Carrington, Rob Evans, Jamal Fyfield, Simon Heslop, Connor Jennings, Sean Newton and Kayden Jackson have been offered new deals. Defender Newton, 27, has signed a new one-year deal and Mills revealed the former Chester player was offered a better contract elsewhere in the National League. But 22-year-old striker Jackson, who scored four goals during the season, has turned down a new contract offer. "He's was actually offered a contract a month ago and unfortunately decided he wants to move on," Mills said. "I just hope, when we find out where Kayden's going to be going that it is a Football League club and certainly not another club in our league."